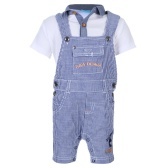 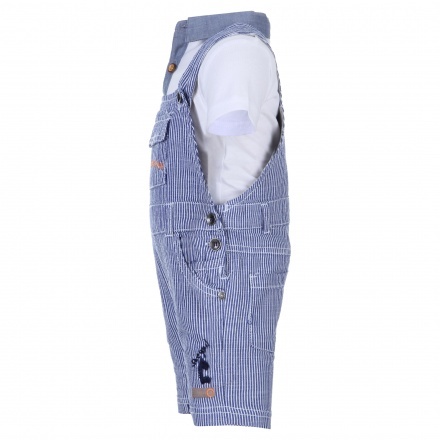 Simple yet stylish, this t-shirt and dungaree set is a must-have for your kid's collection. 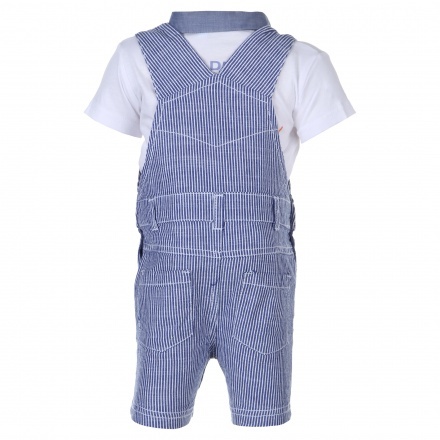 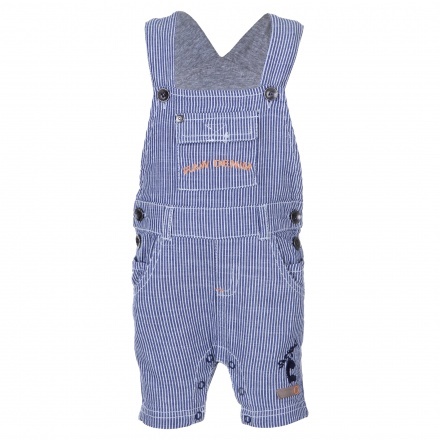 The dungaree features an eye-catching striped print all over and button closure on the sides. 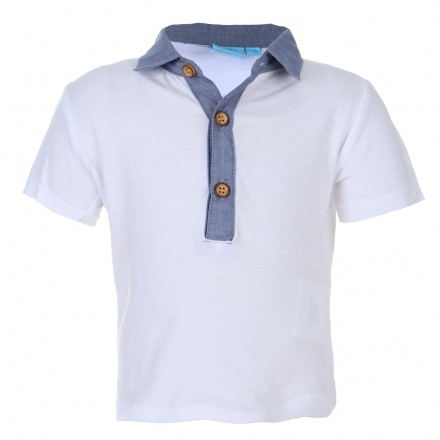 The t-shirt features a polo neck and short sleeves.